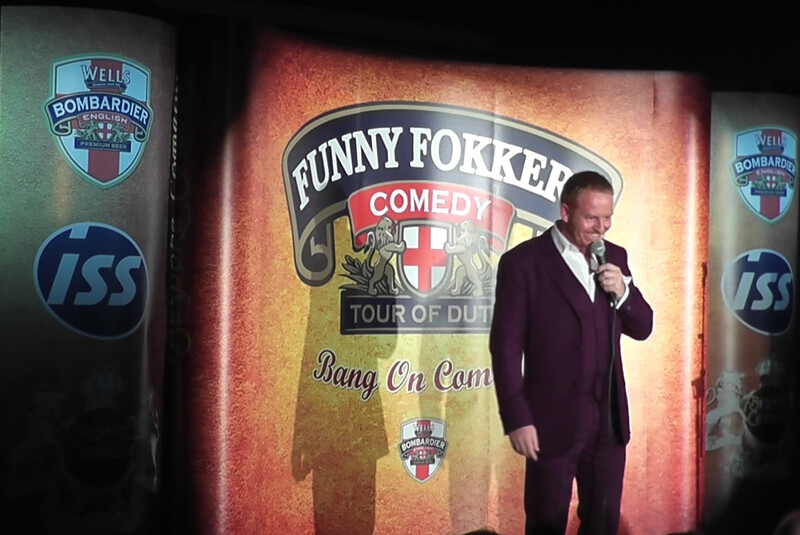 Rupert The Tailor's Purple Suit Hits The Stage with the Funny Fokkers! 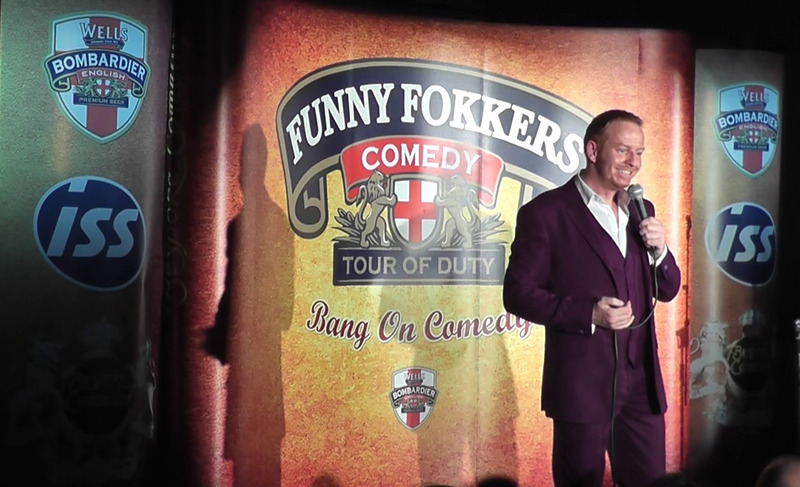 The Funny Fokkers are “A crack battalion of comedic talent”, travelling over 7500 miles across 21 RAF stations and Army Barracks bringing a payload of laughter, joy and merriment. The tour started on the 1st October 2013 and is finishing in Northolt on the 27th November 2013. Chris Gilbert, the lucky suit wearer wanted something a little different to wear on stage. He wanted to look smart but stand out and we had the perfect thing. The Elton Single Breasted 2 Button Suit in Purple! Take a look at the photos below, and see our suit in all its glory on stage. 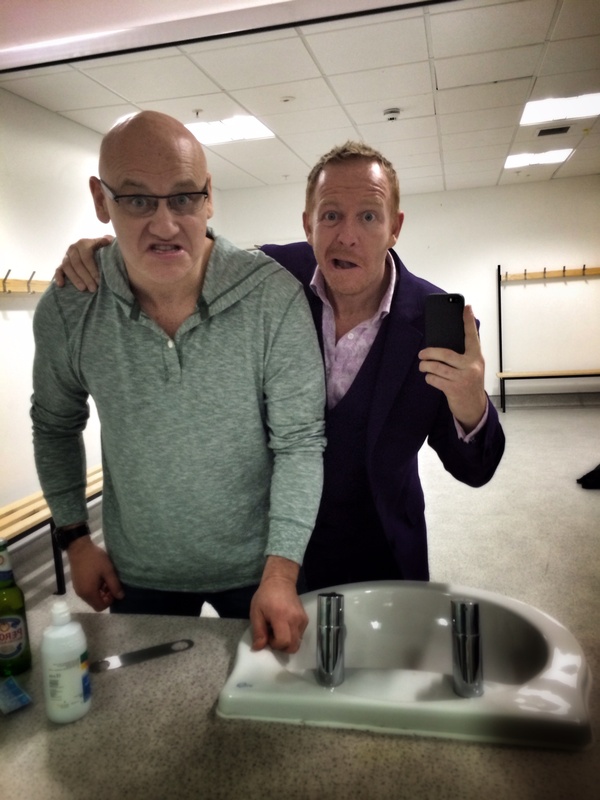 Been on stage with Paul Tonkinson who is currently supporting Michael McIntyre on tour!! 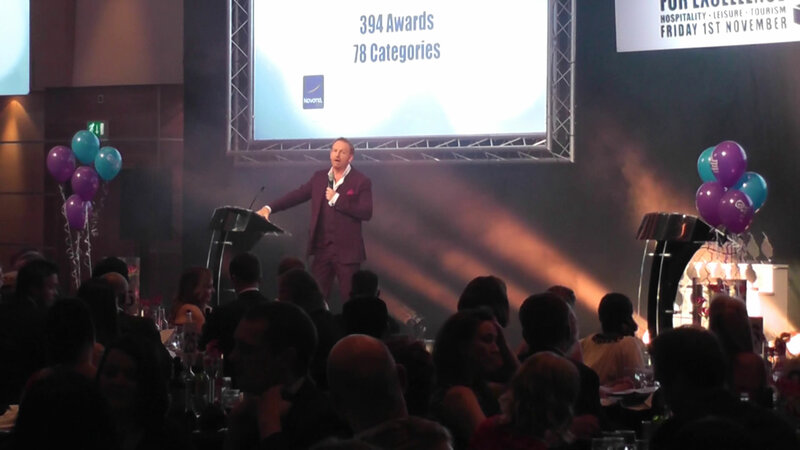 And below is Chris introducing the National Springboard Awards at Novotel London West. Chris said the suit went down a treat, and has worn it to many occasions and events since! 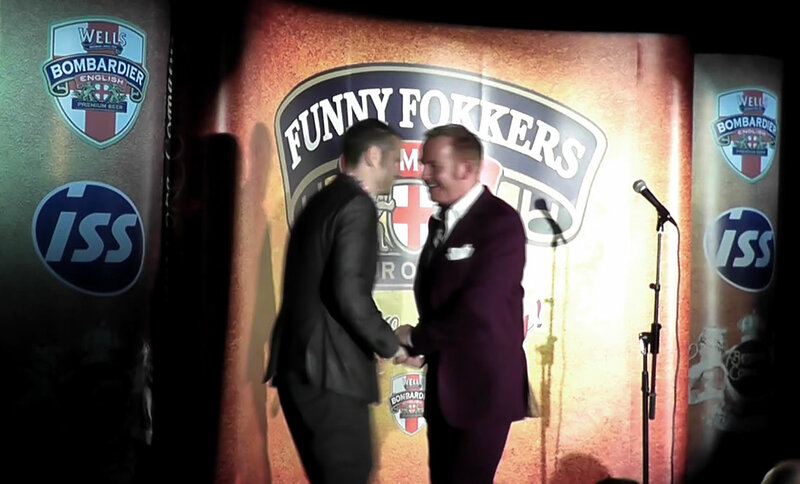 So keep your eye out for Rupert The Tailor suits on stage in the future! If you have any questions, queries or want to send us photos of your Rupert The Tailor items to go into our Customer Album on Facebook you can contact the Rupert The Tailor team by phone: 01335 361287, use our online chat or comment on our Facebook Wall. Previous PostPrevious Why do socks wear out so quickly? 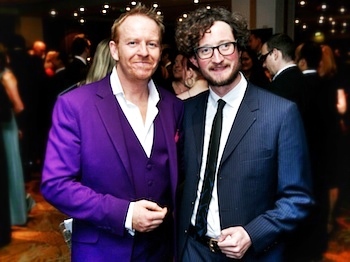 Next PostNext The Anchorman Suit in Stunning Red, why Rupert The Tailor can help.